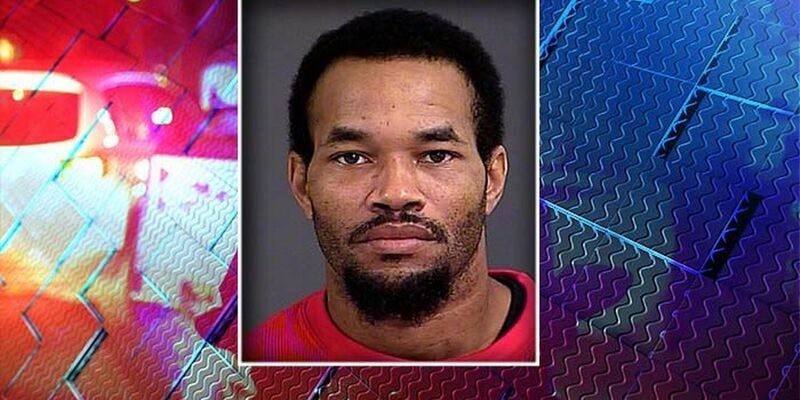 NORTH CHARLESTON (WCSC) - Bond has been set at $150,000 for a North Charleston man accused of making threats against public officials, according to the Charleston County Detention Center. North Charleston police officers say they received a tip that a man was posting videos and comments threatening the lives of law enforcement. The South Carolina Law Enforcement Division assisted the agency in the investigation. A warrant was prepared for Byron Long, 41, and he was arrested at his home Tuesday night. Long was initially charged with one count of threatening the life or family of a public official. Later in the week, SLED added two additional charges of threatening an official. According to SLED, the charge is punishable by a penalty of up to five years in prison, a fine up to $5,000, or both. In videos posted on the Facebook page of a Byron Long claiming to be from Charleston, a man makes statements about both law enforcement and city officials. "[Former] mayor Riley, Keith Summey, the two chiefs of police and anybody else that be with them, I'mma kill all you m------f-----s," the man said in one video posted on the Facebook page. "Them m------f-----s are the devil and y'all letting them run this f------ city," he says in another, referring to law enforcement. The suspect also threatened to burn down a courthouse and a police station. He claimed to be the "blood son of God" throughout videos recently posted to the page. The most recent video can be found here. **WARNING** This video contains strong language. The case will be prosecuted by the Ninth Circuit Solicitor's Office. Copyright 2016 WCSC. All Right Reserved.